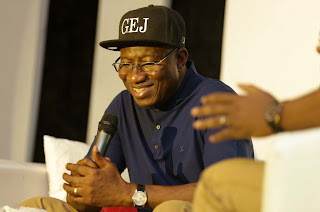 Former President, Goodluck Jonathan has replied his critics who accused him of handing over a nation at the verge of collapse to his successor, President Muhammadu Buhari. Jonathan recounted the achievements of his government to include, handing over a country that produced the richest man in Africa. I handed over a Nigeria that had grown to become the largest economy in Africa and the 24th largest economy in the World with a GDP of $574 billion. I also inherited a country where illiteracy rate particularly in the Northern part was alarming. I handed over a country where every state in the North and indeed all the states had a Federal University. I inherited a country where there was total infrastructural decay in all the unity schools and colleges of education. But I handed over a country with massive infrastructural improvement in almost higher institutions. I inherited a country where agricultural inputs and production were almost zero. Indeed, we sailed through because I refused to interfere with the independence of the Independent National Electoral Commission, ‘INEC’, having appointed a man I had never met in my life to run it. We sailed through because I maintained and still believe that my personal ambition, interest is not worth the blood of any single Nigerian. But I handed over a country where a bag of rice was sold for N6, 500 to N7000. I inherited epileptic fuel supplies resulting to endless queues at the filling stations. I maintained despite enormous challenges of fuel subsidies and handed over a relatively stable fuel regime and also at a managed local price of N87 per liter. In 2009 the richest Nigerian was the 5th richest man in Africa, but I handed over a Nigeria that produced the richest man in Africa. The former President further stated ” I inherited a country where people were almost losing hope on the credibility of its electoral process but I noticed that democracy will continue to grow in the African continent if leaders value the process of elections more than the product of the process. I handed over electoral process that engendered fairness in its conduct and conclusiveness “. He said, “Even in the 2015 general elections in my country, Nigeria, there was potential for major crisis if I was not a President duly elected by the will of the people. “The campaigns leading to the elections almost polarized the country into Christian vs Muslims and North vs South divide. Most World leaders were worried that our elections will result into major crisis. That is where the leadership question comes into play. As a leader that was duly elected by the people, I considered the people’s interest first.